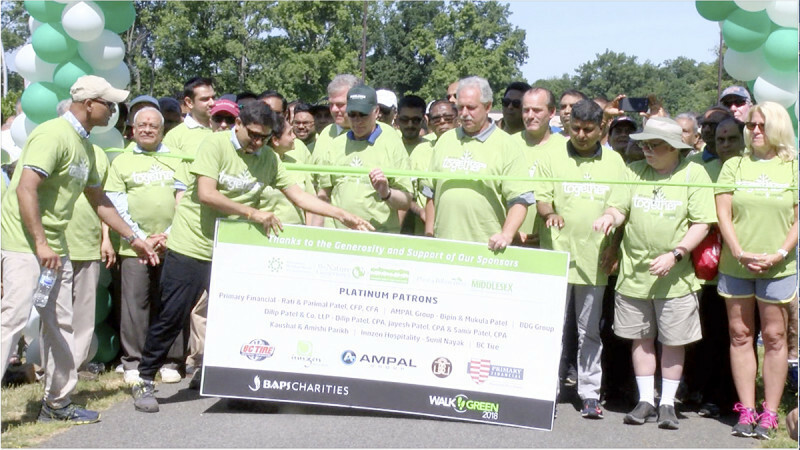 BAPS Charities hosted its annual walkathon in Edison, NJ, on June 17, supporting the Nature Conservancy, JFK Medical Center Foundation and Middlesex County College. Strengthening its commitment to protect the environment, the Charities will help plant 130,000 trees, to the Nature Conservancy to support their initiative to plant a billion trees globally by 2025. BAPS Charities seeks to serve the communities through a variety of programs aimed at improving the lives of the neighbors, such as Walkathons and Annual Challenges to bring awareness to important causes in the community.